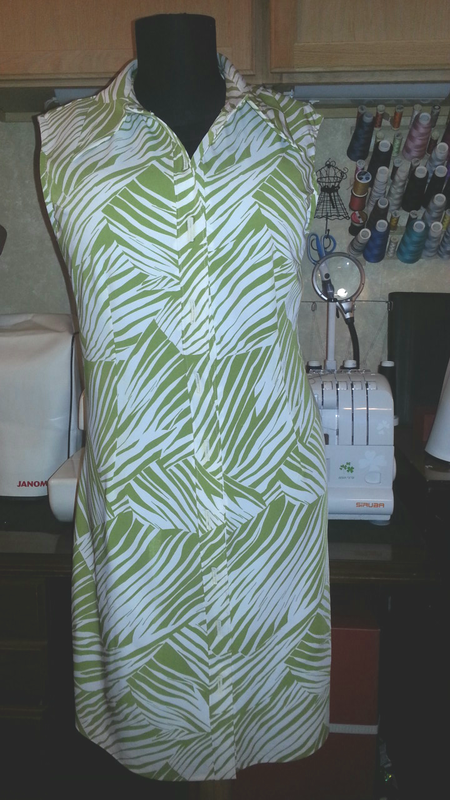 This dress (Butterick 6007) should have been completed almost two weeks ago, but dreaded doing 9 buttonholes. Mainly in part to being traumatized the last time I did buttonholes. 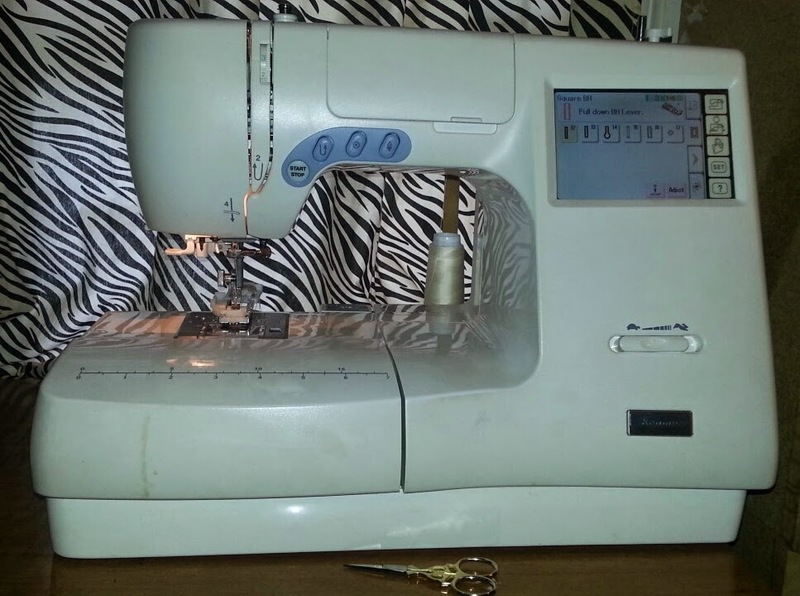 While talking to sewing diva Rachelle, and after some encouragement, she ended it with girl just do it!. Started up my Kenmore Elite 19005, did a few practice runs, set it to auto stitch and off I went. 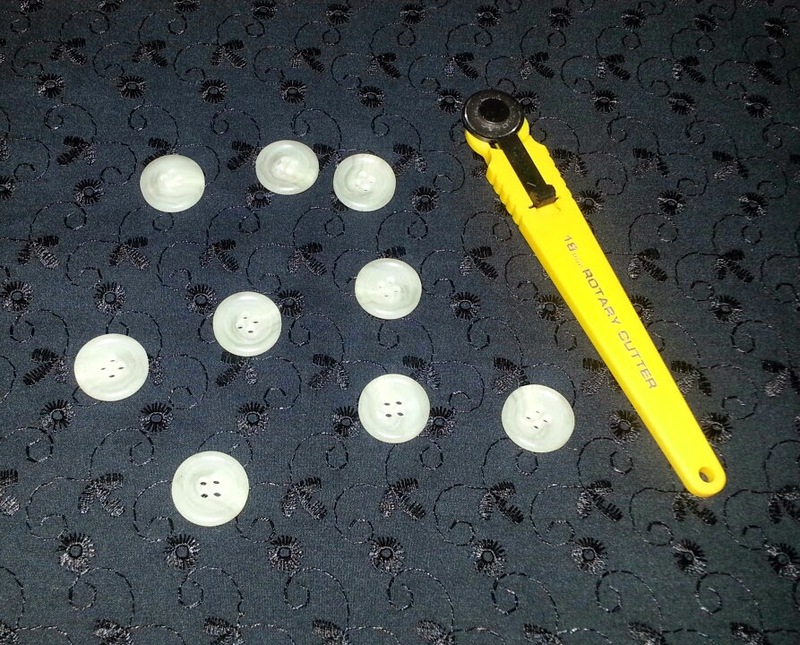 Then all 9 were done with no hiccups, perfectly align... no, but finally over the buttonhole dread. Just waiting for the fray check to dry. Found these buttons in my stash. Until then. .. Have a Great Sunday. The fern print is gorgeous and the dress very cute. What fabric is it? Thank you Faye. The fabric is a stretch cotton. Such a pretty dress! And now you've conquered the buttonhole thing. I admit I always approach them with a gulp, but I practice a bunch, even make up practice pieces with interfacing, etc., until I'm comfortable. Then I start with the one at the bottom! 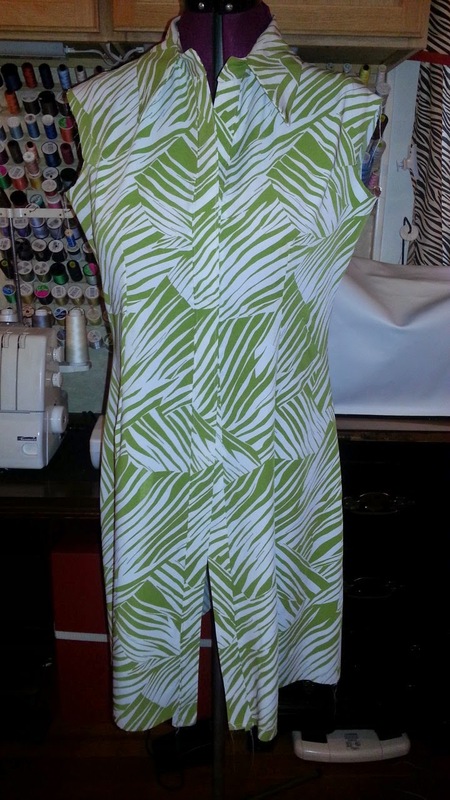 In case I mess up, I want to do it down there :-) I love your fabric, so summery. Thank you Coco. Several practice runs are necessary, but I've had an instance or two, wherein the practice runs yield perfect buttonholes and as soon as I do the first buttonhole something goes wrong. Like you I have learned to start with the last one. What a gorgeous print Sheila, I can't wait to see the dress finished.. Thank you Candice. Hope to have pics soon. So glad this worked out for you! I'm sure you look awesome in this dress! I love this fabric, really cute summer dress! Yea, for conquering the button holes.